I was perusing the news websites like always do when I came across this eye-catching headline: “Over 40? You Can Look Young & Hip Author Says“. Charla Krupp has authored a book titled “How Not To Look Old” which was number 2 on Sunday’s New York Times Best Seller List. …it urges women to retain a youthful appearance with brightened teeth,highlighted hair (and bangs), hip (but not too young) clothes, high heels and soft, natural makeup. She doesn’t believe in plastic surgery, by the way. Outside of living a healthy lifestyle, no drug abuse, minimal stress, no sun worshipping, moderate alcohol use, etc., there’s not much you can do about it. If your mother looks, or looked, like death warmed over at 40, chances are…you will too. How true, how true. If it’s going south after 40, sorry, a trip to a very good Dr. 90210 might be in order, ya know? Yeah, on average you do see white women stressing over the aging thing a lot more than you do white women, but I kind of wish some of that would rub off on black women more when it comes to going to the gym. I always see tons of middle aged white women looking pretty good in the gym, but not so much with the black women. Whats up with that? Betta believe when I am all old I am gonna still be up in the gym all old and fine and stuff. Well we do have an unfair advantage…as black don’t crack as easily. Bully, I have to agree with you on the fitness thing for black women. I understand black men like a woman with curves but some of us are a bit too curvy. We need to get in shape. You don’t have to be a size 6 or 8 but you must be healthy and fit…able to walk a flight of stairs without being “winded”. If more black women committed to being “fit” you would see a decline in hypertension, diabetes, obesity (obviously), and many other weight related health issues. White women stay lookin’ for a formula. They need to learn how to stay out of that sun and stop dying their hair. That is why I love my black women…black women just age gracefully and beautifully. At the end of the day, it is all about one’s diet and their staying healthy by way of exercising and staying as stress-free as possible. “Black don’t Crack”! African American women when they take good care of themselves in their youth they have a better chance of continuing to look alot younger than they really are. Genetics definitely is a big part of it also. If you wait until your in your latter years to start to take care of yourself INSIDE and OUT more than likely you will have to consider other options to look younger. I loved your last sentence in this post..lol.And black folks should explore other BEVERAGES besides kool-aid and malt liquor..ie. orange juice, grape juice, vegetable juice, WATER..LOL. I love my people though.. 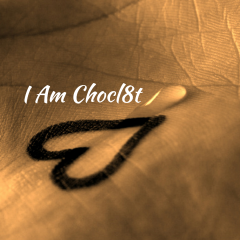 Enter your email address to subscribe to The Chocl8t Diaries and receive notifications of new posts by email. U.G.L.Y. You Ain't Got No Alibi...You Ugly! Come on a fantastic voyage in the backwaters of my mind.